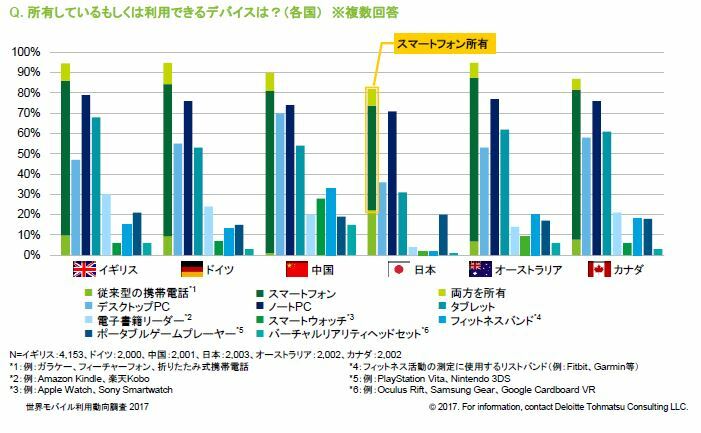 Deloitte Tohmatsu Consulting released a comparison analysis of mobile trends in Japan, U.K., Germany, China, Australia, and Canada as part of the 2017 world mobile trend survey, which covered 33 countries and regions in the world. 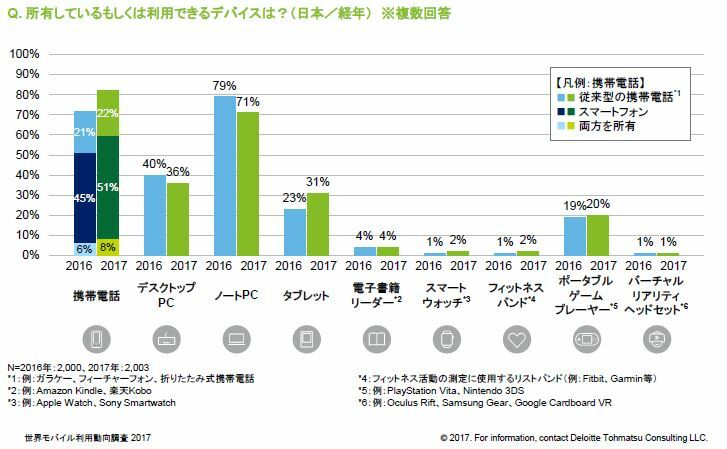 According to the results, the ratio of smart phone ownership (including co-use of conventional mobile phone) in Japan is 59%, rising from 51% a year earlier. The ratio of owners of “conventional” mobile phones however exceeds 20%. The ratio of owners of conventional mobile phones in every other country was 10% maximum. The ratio of smart phone owners exceeds 80%, and the ratio in China is close to 100%. 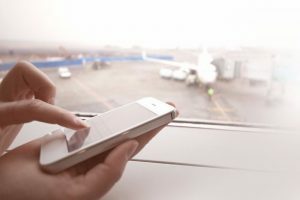 Based on the survey results, Deloitte Tohmatsu Consulting indicated that Japan remains a unique market although smart phone ownership increases every year. The usage rate of AI-based smart voice assistant functions is around 10% in the six countries. 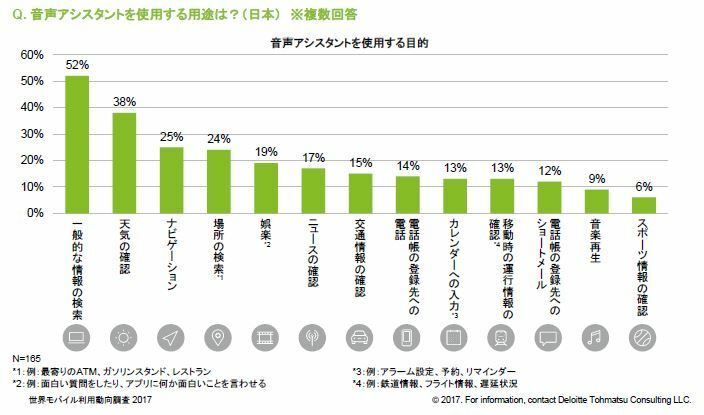 In Japan, it is frequently used for information search (52%) and weather information (38%), not yet for high-level concierge services. As the awareness of smart voice assistant functions exceeds 30% in Japan, Deloitte Tohmatsu Consulting considers that smart voice assistant functions should become a part of daily life as personal agents with deep knowledge about individual tastes once smart phones get higher-quality functions and once smart phones accumulate enough data.